Rockford, Illinois, quartet Cheap Trick have been there, done that and bought all the T-shirts during a formidable career which is now well into its fifth decade. An enduringly popular international live draw, they’ve performed a monumental 5,000-plus; the Japanese rock press regularly refers to them as the “American Beatles”; and they’ve been cited as an influence by seminal performers such as Joey Ramone, AC/DC’s Angus Young and Nirvana’s Kurt Cobain. Seemingly omnipresent in the US charts during the late 70s, the band remain on favourable terms with the Billboard 200; their recently released 17th studio album, Bang, Zoom, Crazy… Hello, peaked at an impressive No.31: their highest chart placing since 1988’s platinum-selling Lap Of Luxury. Primary songwriter and owner of a formidable arsenal of customised guitars, Rick Neilsen grew up in Rockford. His family owned a music store and he became proficient on a number of instruments during his teens, mastering keyboards and drums as well as guitar. His first serious band, The Grim Reapers (who, ironically, were scheduled to support Otis Redding in Madison, Wisconsin, on 10 December 1967, the day Redding died in a plane crash) also featured future Cheap Trick rhythm section Tom Petersson and Brad Carlson (aka Bun E Carlos). All three later teamed up in Fuse, a short-lived psychedelic-tinged outfit who cut one self-titled LP for Epic in 1970. Neilsen and Petersson also joined forces with Robert “Stewkey” Antoni and Thom Mooney in Nazz’s post-Todd Rundgren line-up of 1970-73, during which time the band were based in Philadelphia and toured Europe as Sick Man Of Europe. By 1973, however, Neilsen and Petersson had returned to Rockford, re-connected with Carlos and, by 1974, Cheap Trick’s “classic” line-up clicked into place after the band recruited Wisconsin-born vocalist/rhythm guitarist Robin Zander. The band became Cheap Trick after attending a Slade concert where Tom Petersson reputedly remarked how the band used “every cheap trick in the book” in their act. Having quickly established their own fearsome live reputation through playing every bar, warehouse and bowling alley that would take them in the Midwest, the group signed to Epic Records in 1976 on the recommendation of Jack Douglas, staff engineer at New York’s prestigious Power Plant recording complex, who had been impressed by a show he’d seen them perform in Wisconsin. Douglas manned the console for Cheap Trick’s self-titled debut LP, released in February 1977, which narrowly missed the Billboard Top 200 but attracted a raft of positive critical notices. Still a firm fan favourite, Cheap Trick remains an infinite thrill for power-pop fans, yet while it touted enviably catchy, Beatles-esque harmonies, many of the record’s best songs had darker undercurrents, with ‘The Ballad Of TV Violence’ relating to serial killer Richard Speck and ‘Oh Candy’ dealing with the recent suicide of the band’s close friend, Marshall Mintz. Produced by Tom Werman (the band’s A&R man at Epic), Cheap Trick’s sophomore release, In Color, was issued barely six months after their debut hit the racks. Notably more polished and radio-friendly than its predecessor, In Color went gold in Canada and eventually yielded a platinum certification for the band in the States. It also made them superstars in Japan, where the album’s two 45s, ‘Clock Strikes Ten’ and the ludicrously infectious ‘I Want You To Want Me’, both smashed into the Top 10. The band inched ever closer to superstardom with May ’78’s Heaven Tonight. Loaded with attitude, it presented another tasty, hook-stuffed smorgasbord, ranging from the wistful psychedelia of the title song to roaring rockers such as ‘On Top Of The World’, a furious cover of The Move’s ‘California Man’ and the sturdy, anthemic ‘Surrender’ – the latter providing the band with their first US Billboard Hot 100 placing when it peaked at No.62. Often cited as Cheap Trick’s finest hour, Heaven Tonight also rose to No.48 on the Billboard 200 and went gold in Canada, yet while the momentum was steadily building around the band in the US, the dam was about to burst in the Far East. Having already notched up two gold-selling LPs in Japan, Cheap Trick toured the country for the first time in 1978, being received with a fervency akin to Beatlemania. Two of their shows at Tokyo’s Nippon Budokan were recorded for posterity during the jaunt and compiled for what should have been the Japan-only live album Cheap Trick At Budokan. However, after demand for the import became so great, Epic afforded the record a US release in February 1979. Shooting to No.4 on the Billboard 200, Cheap Trick At Budokan introduced the band to the global stage, going triple-platinum in the US and spawning two massive hits courtesy of ‘I Want You To Want Me’ (which peaked at No.7) and the band’s version of Fats Domino’s ‘Ain’t That A Shame’. 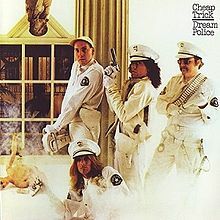 Cheap Trick’s third (and final) album with Tom Werman at the controls, September ’79’s Dream Police, also sold in droves, climbing to No.6 on the Billboard 200 and earning a platinum certification just months after its initial release. Sonically, it was the band’s most grandiose offering, featuring ambitious tracks such as the orchestrated nine-minute epic ‘Gonna Raise Hell’ and the complex ‘Voices’, which incorporated a meticulous vocal arrangement with multiple harmonies. Cheap Trick were busy conquering the arena circuit by the time 1980’s All Shook Up was released, but while the album again went gold in the US and Canada, and was produced by The Beatles’ dream team, Sir George Martin and engineer Geoff Emerick, it was a quirky, experimental affair which yielded just the minor US hit ‘Stop This Game’ and received mixed reviews. Long-serving bassist Tom Petersson left before the album’s release and was replaced by Pete Comita for the All Shook Up tour, though he in turn made way for Jon Brant (Chris Spedding, Lou Reed) before Cheap Trick settled down to record 1982’s One On One. Overseen by Queen/The Cars producer Roy Thomas Baker, this gold-selling album was a return to the simpler power-pop sound that set the band on the road to stardom and it spawned a pair of notable 45s in the innuendo-laden ‘She’s Tight’ and the slow-burning ballad ‘If You Want My Love’. Despite precise production from Todd Rundgren, the inclusion of the much-loved, Robin Zander-penned ‘I Can’t Take It’ and a choice cover of The Motors’ ‘Dancing The Night Away’, 1983’s Next Position Please stalled at No.61 on the Billboard 200. Reuniting the band with Cheap Trick producer Jack Douglas, ’85’s Standing On The Edge fared better, however, climbing to No.35 and bequeathing a Top 10 Billboard Top Rocks Chart hit with ‘Tonight It’s You’, which also received heavy rotation from MTV. Lap Of Luxury cruised to No.16 in the US charts and eventually notched up platinum certifications in both the States and Canada. Also overseen by Richie Zito, June 1990’s Busted was trailed by the US No.12 hit ‘Can’t Stop Fallin’ In Love’. In the face of newer styles such as grunge and dance-rock, Busted nevertheless yielded another gold disc in Canada, though it proved to be Cheap Trick’s final studio album for Epic. Having enjoyed one last hurrah with their old label when 1991’s self-explanatory Greatest Hits won them another platinum certification, Cheap Trick transferred to Warner Bros and issued 1994’s metal-inclined Woke Up With A Monster, recorded with Captain Beefheart/Van Halen producer Ted Templeman. Leaving Warner Brothers shortly afterward, Cheap Trick toured heavily with critically acclaimed bands of the day such as Pearl Jam and Stone Temple Pilots, and recorded demos with alt.rock doyen Steve Albini. The band’s return to form then continued with 1997’s Cheap Trick (sometimes referred to as Cheap Trick II): a sprightly outing that largely recaptured the stripped-down power-pop sound which originally brought the band to prominence. Cheap Trick was greeted by a groundswell of critical praise, but just months after its release, Alliance Entertainment, parent company of the band’s new label, Red Ant, went bankrupt. 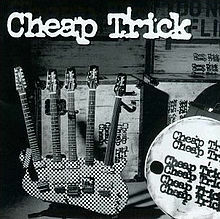 It would be 2003 before Cheap Trick returned with Special One, released through their own Cheap Trick Unlimited imprint. The continued to fight back with 2006’s purposeful Rockford. Arguably their best album since their late 70s heyday, it featured an embarrassment of power-pop riches including ‘If It Takes A Lifetime’ and the Linda Perry-assisted ‘Perfect Stranger’. 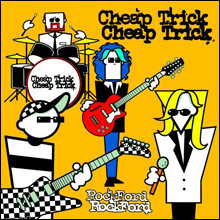 Cheap Trick’s hometown of Rockford repaid the compliment in 2007 by designating 1 April official Cheap Trick day. During August of that same year, the band honoured the 40th anniversary of The Beatles’ Sergeant Pepper’s Lonely Hearts Club Band by performing the album in its entirety with the Hollywood Bowl Orchestra, with the record’s original engineer Geoff Emerick manning the soundboard. Cheap Trick were back on record with 2009’s The Latest, another fine, critically lauded platter which featured a pulverising cover of Slade’s ‘When The Lights Are Out’. Drummer (and son of Rick Neilsen) Daxx Neilsen replaced Bun E Carlos for live work after the album’s release, and the band have since undertaken lengthy tours with Aerosmith, Boston and Peter Frampton across 2012-2015. More recently, Cheap Trick were inducted into the Rock And Roll Hall Of Fame on 8 April 2016, at Barclays Centre in Brooklyn, New York, and this prestigious event coincided with the release of the band’s 17th studio album, Bang, Zoom, Crazy… Hello: their debut for the Nashville-based Big Machine imprint. Long on dynamism and purpose, this estimable new waxing features Cheap Trick at their versatile best, adroitly tacking melodic hard rockers (‘No Direction Home’), swooning pop songs (‘The Sun Never Sets’) and even holding down a sturdy groove on a rangy cover of Dobie Gray’s Northern soul hit ‘The In Crowd’. The ideal record to introduce this apparently indestructible outfit to a whole new generation of fans, it’s already inveigled its way into the Top 40 of the Billboard 200 and displays all the hallmarks of a classic in waiting. Cheap Trick's eponymous debut is an explosive fusion of Beatlesque melodic hooks, Who-styled power, and a twisted sense of humor partially borrowed from the Move. But that only begins to scratch the surface of what makes Cheap Trick a dynamic record. Guitarist Rick Nielsen has a powerful sense of dynamics and arrangements, which gives the music an extra kick, but he also can write exceptionally melodic and subversive songs. Nothing on Cheap Trick is quite what it seems. While the songs have hooks and attitude that arena rock was sorely lacking in the late '70s, they are also informed by a bizarre sensibility, whether it's the driving "He's a Whore," the dreamy "Mandocello," or the thumping Gary Glitter perversion "ELO Kiddies." "The Ballad of TV Violence" is about mass murder, while "Daddy Should Have Stayed in High School" concerns pedophiles. All of it is told with a sense of humor, but it doesn't come off as cheap or smirking because of the group's hard-rocking drive and Robin Zander's pop-idol vocals. Even "Oh, Candy," apparently a love song on first listen, is an affecting tribute to a friend who committed suicide. 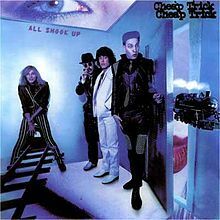 In short, Cheap Trick revel in taboo subjects with abandon, devoting themselves to the power of the hook, as well as sheer volume and gut-wrenching rock & roll -- though the record is more musically accomplished than punk rock, it shares the same aesthetic. The combination of off-kilter humor, bizarre subjects, and blissful power pop made Cheap Trick one of the defining albums of its era, as well as one of the most influential. In 2016, Cheap Trick were finally elected into the Rock and Roll Hall of Fame, which is often a double-edged sword for a working band. While the induction represents a powerful acknowledgment of their legacy, it's also an honor most often bestowed on bands that are well past their golden era. 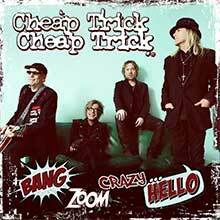 The timing is especially touchy for Cheap Trick, since 2016 also marks the release of Bang, Zoom, Crazy... Hello, the group's first release for Big Machine Records, a label that previously specialized in country product. Bang, Zoom, Crazy... Hello sounds like an album that was designed to convince listeners of two things: first, that Cheap Trick are far from a spent force; and second, that they are still rockin' regardless of their new corporate sponsors. 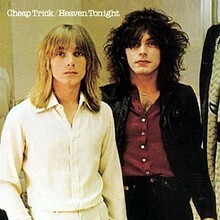 While ultimately this album shows both points are accurate, it hardly captures Cheap Trick at their best. Bang, Zoom, Crazy... Hello often rocks hard, but the poppy, Beatlesque side of their musical personality gets pushed to the side on most of these songs. (Though it makes its presence known on "The Sun Never Sets" and "When I Wake Up Tomorrow.") The material also leans to the slick side, perhaps thanks to producer Julian Raymond co-writing ten of these 11 songs, as he did on several tracks of 2009's The Latest. (In Nashville, it's widely believed most problems are easily solved by bringing in another songwriter.) The album also marks Cheap Trick's first set without longtime drummer Bun E. Carlos. Their new timekeeper, Daxx Nielsen (son of guitarist Rick Nielsen), is a strong player, but the album lacks some of the humor and bonhomie Carlos brought to the band. All this said, as a band Cheap Trick still connect on Bang, Zoom, Crazy... Hello. Rick Nielsen's tough but slightly twisted hard rock guitar figures remain satisfying. Robin Zander's voice is in good shape, and although his range is a bit narrower than in his youth, he's still plenty commanding. (His Brian Ferry affectations on the cover of "The In Crowd" are pretty funny, too.) And bassist Tom Petersson and Daxx Nielsen hold down the bottom end with style and focus. Anyone who was hoping Cheap Trick would pull an unexpected triumph out of their bag (as they did with 2006's Rockford) is out of luck. 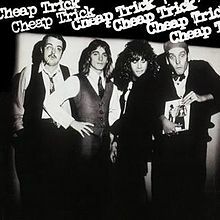 But almost 40 years after they released their self-titled debut, Cheap Trick can still make a solid and entertaining hard rock record. If that doesn't sound like much, compare Bang, Zoom, Crazy... Hello with the current work of their late-'70s peers and you'll see what a fine surprise that is. Cheap Trick's recorded work has been so inconsistent for so long, bouncing back and forth between belabored attempts to reach radio and self-conscious returns to their classic early work, it's kind of a shock to discover that 2006's Rockford is a good, solid Cheap Trick record. Scratch that -- it's a very, very good Cheap Trick record, glistening with Beatlesque harmonies, sugary hooks and snarling guitars, and built on a set of songs that emphasize their strengths without seeming fussy or formulaic. They also don't seem tired or juvenile, either, nor do the band try to rock too hard or heavy, the way they did on the good but occasionally stilted Steve Albini-produced 1996 self-styled comeback, Cheap Trick. Albini is back for portions of Rockford, as is Jack Douglas, the producer behind their early masterworks, and 2000 rock's flavor of the month Linda Perry drops by for a single too -- but far from being a case of too many cooks spoiling the soup, it's more that each producer/engineer/collaborator helps bring out a different aspect of Cheap Trick. Sure there are songs that serve up crunching hard rock along with a little bit of streamlined arena rock, but there are pop songs built upon the British Invasion, bittersweet ballads, even a little bit of disco-funk on "One More." When all these different sounds are put together, it does indeed add up to the most diverse album they've made in many a moon, but since there's such a strong emphasis on melody, vocal harmonies, and guitar hooks, all wrapped up in three-minute songs, it also winds up as Cheap Trick's first genuine power pop album since their heyday, and their best album since Dream Police. After all these years and all those uneven albums, it's a bit of a surprise to have the band deliver an album this good completely out of the blue but, as their catalog proves, Cheap Trick have never done things the easy way -- and it's better to finally get a very, very good Cheap Trick record unexpectedly, some 27 years after the last good one, instead of not getting one at all. While their records were entertaining and full of skillful pop, it wasn't until At Budokan that Cheap Trick's vision truly gelled. Many of these songs, like "I Want You to Want Me" and "Big Eyes," were pleasant in their original form, but seemed more like sketches compared to the roaring versions on this album. With their ear-shatteringly loud guitars and sweet melodies, Cheap Trick unwittingly paved the way for much of the hard rock of the next decade, as well as a surprising amount of alternative rock of the 1990s, and it was At Budokan that captured the band in all of its power. Heaven Tonight, like In Color, was produced by Tom Werman, but the difference between the two records is substantial. Where In Color often sounded emasculated, Heaven Tonight regains the powerful, arena-ready punch of Cheap Trick, but crosses it with a clever radio-friendly production that relies both on synthesizers and studio effects. 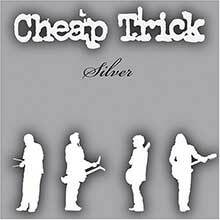 Even with the fairly slick production, Cheap Trick sound ferocious throughout the album, slamming heavy metal, power pop, and hard rock together in a humongous sound. "Surrender," the definitive Cheap Trick song, opens the album with a tale about a kid whose parents are hipper than himself, and the remainder of the record is a roller coaster ride, peaking with the sneering "Auf Wiedersehen," the dreamily psychedelic title track, the roaring rocker "On Top of the World," the high-stepping, tongue-in-cheek "How Are You," and the pulverizing cover of the Move's "California Man." Heaven Tonight is the culmination of the group's dizzying early career, summing up the strengths of their first two albums, their live show, and their talent for inverting pop conventions. They were never quite as consistently thrilling on record ever again. 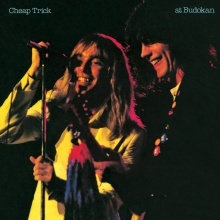 At Budokan unexpectedly made Cheap Trick stars, largely because "I Want You to Want Me" had a tougher sound than its original studio incarnation. Perversely -- and most things Cheap Trick have done are somehow perverse -- the band decided not to continue with the direct, stripped-down sound of At Budokan, which would have been a return to their debut. Instead, the group went for their biggest, most elaborate production to date, taking the synthesized flourishes of Heaven Tonight to extremes. While it kept the group in the charts, it lessened the impact of the music. Underneath the gloss, there are a number of songs that rank among Cheap Trick's finest, particularly the paranoid title track, the epic rocker "Gonna Raise Hell," the tough "I Know What I Want," the simple pop of "Voices," and the closer, "Need Your Love." Still, Dream Police feels like a letdown in comparison to its predecessors, even though it would later feel like one of the group's last high-water marks. Cheap Trick's first genuinely disappointing album (1979's Dream Police wasn't bad, it just wasn't up to the level of the first four), 1980's All Shook Up is pretty much a complete botch. Much of the blame belongs to producer George Martin, who, for all his brilliance, was simply a wrongheaded choice for these brash power poppers; his production style simply doesn't translate. Unfortunately, primary songwriter Rick Nielsen has to shoulder his portion of the blame as well: the band's sixth album in under four years shows that the guitarist is starting to run out of both hooks and interesting lyrics. Too many songs are based around half-baked braggadocio like "High Priest of Rhythmic Noise" and "World's Greatest Lover," without the snarky wit that elevated their earlier albums, and the tunes themselves are substandard boogie deficient in both head-bobbing riffs and singalong choruses. "Baby Loves to Rock" is a glad-handing rocker with a certain resemblance to T. Rex's classic string of hits, but it's not enough to save the album. 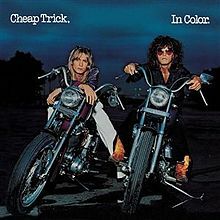 Though Cheap Trick's second album, In Color, draws from the same stockpile of Midwestern barroom favorites as their debut album, it was produced by Tom Werman, who had the band strip away their raw attack and replace it with a shiny, radio-ready sound. Consequently, In Color doesn't have the visceral attack of its predecessor, but it still has the same sensibility and a similar set of spectacular songs. From the druggy psychedelia of "Downed" and the bubblegum singalong "I Want You to Want Me" to the "California Girls" homage of "Southern Girls," the album has the same encyclopedic knowledge of rock & roll, as well as the good sense to subvert it with a perverse sense of humor. Portions of the album haven't dated well, simply due to the glossy production, but the songs and music on In Color are as splendid as the band's debut. Titled Cheap Trick like the group's debut album, presumably because the record represents a new beginning, Cheap Trick is indeed their most powerful, direct and melodic album in years, and certainly their heaviest since their late-'70s heyday. Stripping away all of the glossy, big-budget excesses of their late-'80s and early-'90s major-label releases, Cheap Trick keep their sound to the basics -- loud guitars, crunching chords, and sweet melodies. Certainly the unvarnished sound helps the record sound immediate, but the real key to the success of Cheap Trick is the reinvigorated songwriting. All of the songs are written by the band themselves, with only a couple of cuts featuring outside songwriters, and the result is a tight, melodic set of hard rockers and ballads. Not everything on the album is first-rate -- the forced opener "Anytime" is almost a fatal misstep -- and a couple of songs are simply pleasant, but there are more terrific moments -- "Hard to Tell," "You Let a Lotta People Down," "Say Good Bye," "It All Comes Back to You" -- than there have been on any Cheap Trick record in years. It's a fine, distinguished comeback, and one that suggests that the group could continue making records just as good for several more years. On August 28, 1999, power pop masters Cheap Trick played a special show for fans at Davis Park in their hometown of Rockford, IL, to salute their 25th anniversary as a band together. The show included several musical celebrities making cameo appearances (as well as relatives of Cheap Trick bandmembers) and the inclusion of the Rockford Symphony Orchestra String Quartet on several tracks, while the 29-song set list dipped deep into the band's catalog -- including at least one song from every album of their career thus far. The evening's proceedings have been captured on the 2001 double-disc Silver, the band's second live release in two years. All of the expected fan faves are included -- "Ain't That a Shame," "I Want You to Want Me," "Surrender," "Dream Police" -- but longtime fans will go straight to the set's abundance of more uncommon material. Standouts include two standards of early MTV ("If You Want My Love" and "She's Tight"), the Big Star tribute "That 70s Song," the forgotten 1979 Beatlesque power ballad "Voices," a song that two members of CT cut with John Lennon back in 1980 ("I'm Losin' You"), the jamfest "Gonna Raise Hell," plus tracks sung by other members -- "World's Greatest Lover" (Rick Nielsen) and "I Know What I Want" (Tom Petersson). Also featured are guest appearances by big-name fans Billy Corgan ("Just Got Back"), Slash ("You're All Talk"), and Art Alexakis ("Day Tripper"). Although it lacks the punch of their 1979 classic At Budokan (widely regarded as one of the greatest live rock albums of all time), Silver shows that the band is still having fun on stage 25 years later.